Ambitious and elegant, this book builds a bridge between evolutionary theory and cultural psychology. Michael Tomasello is one of the very few people to have done systematic research on the cognitive capacities of both nonhuman primates and human children. The Cultural Origins of Human Cognition identifies what the differences are, and suggests where they might have come from. 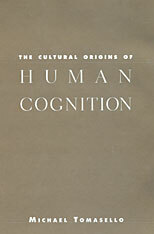 Tomasello argues that the roots of the human capacity for symbol-based culture, and the kind of psychological development that takes place within it, are based in a cluster of uniquely human cognitive capacities that emerge early in human ontogeny. These include capacities for sharing attention with other persons; for understanding that others have intentions of their own; and for imitating, not just what someone else does, but what someone else has intended to do. In his discussions of language, symbolic representation, and cognitive development, Tomasello describes with authority and ingenuity the “ratchet effect” of these capacities working over evolutionary and historical time to create the kind of cultural artifacts and settings within which each new generation of children develops. He also proposes a novel hypothesis, based on processes of social cognition and cultural evolution, about what makes the cognitive representations of humans different from those of other primates. 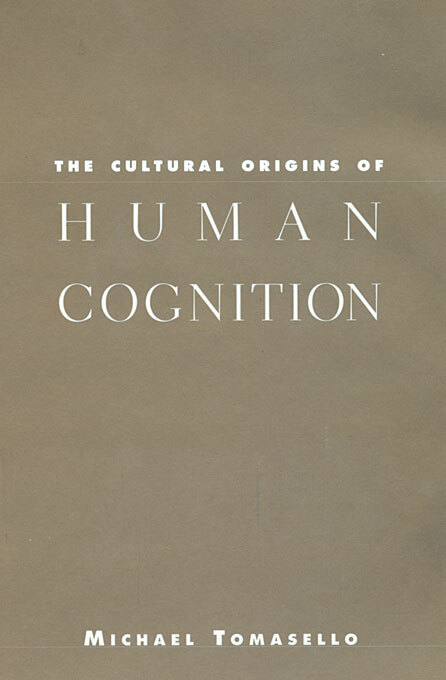 Lucid, erudite, and passionate, The Cultural Origins of Human Cognition will be essential reading for developmental psychology, animal behavior, and cultural psychology.